The following is the first of four profiles on the four candidates for the judgeship, which is scheduled to begin adjudicating cases July 1. 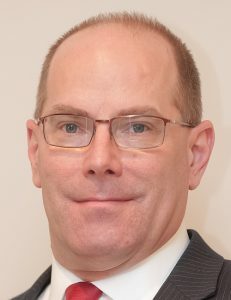 Local attorney Robert J. Bishop has a bachelor’s degree in political science from Indiana Purdue Fort Wayne and a Juris Doctor degree from the University of Toledo, earned in 1991, the same year he was admitted to the Indiana Bar. Bishop joined the Kosciusko Prosecuting Attorney’s Office in 2006 as deputy prosecuting attorney in charge of the Child Support Division. Bishop practiced law in Allen County before taking his position in Kosciusko County. He also has experience as a public defender in misdemeanor and juvenile courts. He has also worked extensively in the area of Children In Need of Services, representing parents and children, and is a certified family law mediator. Bishop has served as president of the Wayne Township Advisory Board and is currently president of the Warsaw Breakfast Optimists. Bishop acknowledged the need for an additional court in the county. Bishop puts a premium on his experience as an attorney when it comes to filling a judicial role.